Are you a WordPress developers or Advanced WordPress Users? You must be very interested in a simple way to create role-specific registration forms for your WordPress website. Below code will help you show a custom message on WordPress Registration page. Put this into your functions.php file. Hello Cruncher..!! 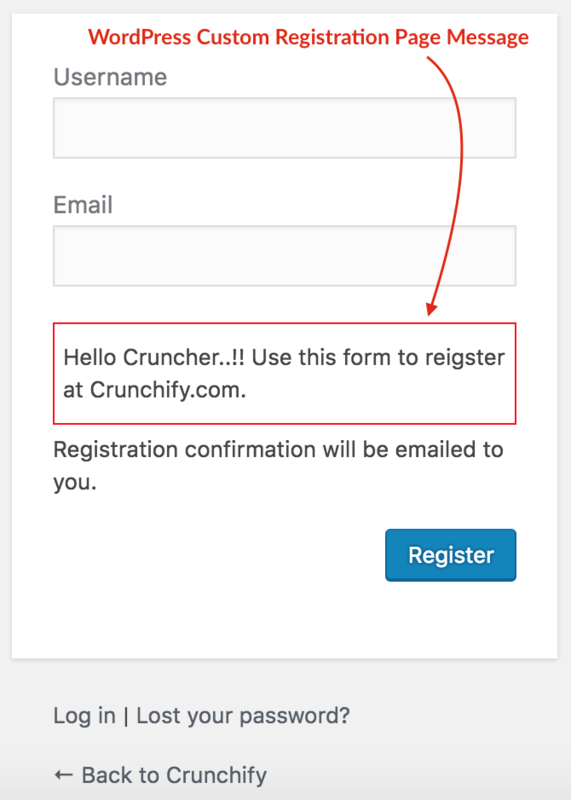 Use this form to reigster at Crunchify.com. Enjoy and Have a fun..!! Is there a way to show this message only once and make it an shortcode so I can place it in a page? Hi Mark – I would suggest you to use Meta widget into sidebar to show registration link which is a very a handy way. Regarding custom shortcode, i’ll give it a try and let you know once I’ll come up with complete steps. Will publish new tutorial in that case.